Truphone customers in Spain now have the option to sign up for a roaming data plan in 40 countries, including the U.S, Australia, France, Germany, and the U.K. - with the ability for customers in other countries to sign on coming soon. The new plan is contract-free, does not require the insertion of a vendor-specific SIM card, and provides 4G data speed to users. Prices range from 500MB over 30 days for 8 ($8.53), to 3GB over 30 days for 20 ($21.33). The Apple SIM technology is included in the latest cellular-capable iPad models to provide flexible data roaming services to customers without contracts or swapping out physical SIM cards. With Apple SIM, when a user arrives in a supported country, browsing and activation of short-term data plans is handled directly from the iOS Settings app. 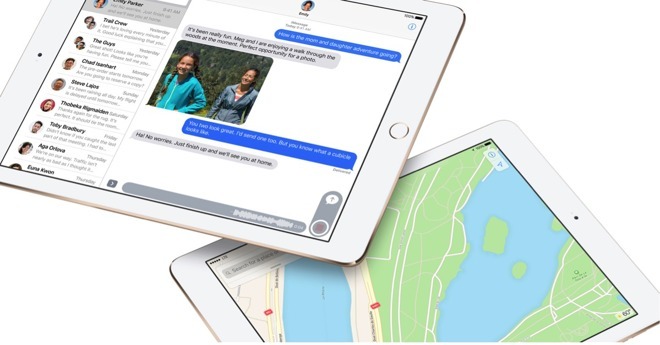 Any iPad Pro with cellular connectivity has the Apple SIM technology, as well as the iPad Air 2, and iPad mini 3 and newer. Multi-carrier Apple SIM support initially launched in 2014 on AT&T, Sprint and T-Mobile in the U.S. and on the EE Network in the U.K. A partnership with GigSky added international connectivity in 90 territories in June 2015, while Japanese carrier KDDI flipped the switch in that country through its au brand in November 2015.